As mentioned prior, ClareNet provides an encrypted highway that connects the CLIQ controller in a home to the central monitoring station via Clare Cloud. Additionally, the ClareNet portal allows you to quickly manage accounts, including viewing account and central station contact details, active status and more. 2.) What security systems work with ClareNet? 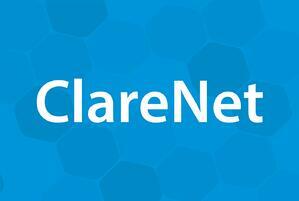 Currently, ClareNet is only available when using the Alula Security system. 3.) Who can sell Clare Security? Clare is partnered with dealers, builders, locksmiths and even electricians all around the country. 4.) How do I get started with Clare Security? If you are an existing Clare partner who wishes to offer security, feel free to reach out to our Inside Sales team at any time. If you are new to Clare, fill out the appropriate fields in your dealer application form to get started. Want to Learn More? Check out our Tech Tuesday.